George Stevens Construction, Inc. and former company GCS Construction is a family-owned company that has been serving Berkshire County Massachusetts and beyond for over 25 years. George Stevens Construction, Inc. and former company GCS Construction is a family-owned company that has been serving Berkshire County Massachusetts and beyond for over 25 years. 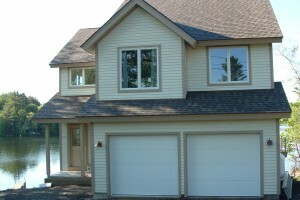 We provide full service residential and light commercial custom building and renovation contracting. Customer relations are extremely important to us as greater than 90 percent of our work is via “word of mouth”. Our services range from small repairs to full service high-end custom homes. We employ quality carpenters and subcontractors whom we have positive working relations with and confidence that their services will meet our high quality standards. George Stevens Construction, Inc., as well as all subcontractors that we hire, are fully licensed and insured. To improve our craftsmanship utilizing innovative technologies and quality materials; without losing sight of customer relations, budgetary constraints, and marketplace competitiveness. Please call: (413) 684-8927 or contact us if you have any questions or would like further information. Thank you!